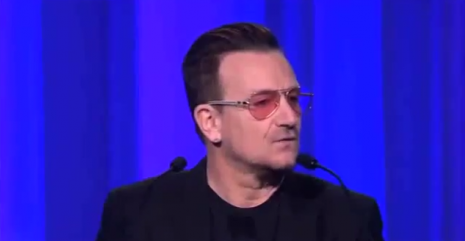 Last week ONE co-founder Bono addressed the European People’s Party congress in Dublin and urged European leaders to commit to laws introducing public disclosure about who owns companies and trusts. Europe has a lot to be proud of. Recently, European leaders passed anti corruption legislation, requiring oil and gas companies to declare the payments they make to foreign governments. This means “more of the wealth under the ground ends up in the hands of those that live above it,” as Bono said. The European Parliament recently voted to hunt down phantom firms by voting in favour of introducing a public register of who owns companies and trusts. This would give citizens and law enforcement authorities access to information and enable them to follow the money from corrupt and criminal activity. ONE members have been campaigning hard, calling on MEPs to crack down on the phantom firms that help criminals rob Africa of billions. But it’s not over. To become law, the EU’s Council of Ministers need to back this move to full transparency in the revised Anti-Money Laundering Directive. So please sign the petition now if you haven’t done so already. Bono also reminded the audience, which included Chancellor Merkel, Taoiseach Enda Kenny and President of the European Commission José Manuel Barroso, that next year world leaders, international organisations and global activists will come together to redesign the Millennium Development goals and G8 leaders meet in Germany. This presents a huge opportunity in the fight against extreme poverty. Our DATA report shows that 30 countries in sub-Saharan Africa have accelerated progress in the last three years on reaching the Millennium Development Goals (MDGs) and 16 are on track to halve extreme poverty by 2015. But we know that so much more needs to be done. In the weeks and months ahead, ONE members, including our Youth Ambassadors will be making their voices heard as Europe prepares for elections in May. If you want to be part of a movement that’s tackling corruption head-on and working together to end extreme poverty, give us your voice and become a ONE member now.